Looking to Migrate MS Access to A Responsive Web Application? Our Vivaldi Hosted Application solution will help you migrate your Access Application to an even more powerful web application platform in hours, with a lower monthly cost! Click here to learn more! Secure online ordering with any major credit card. Licenses are per PC. 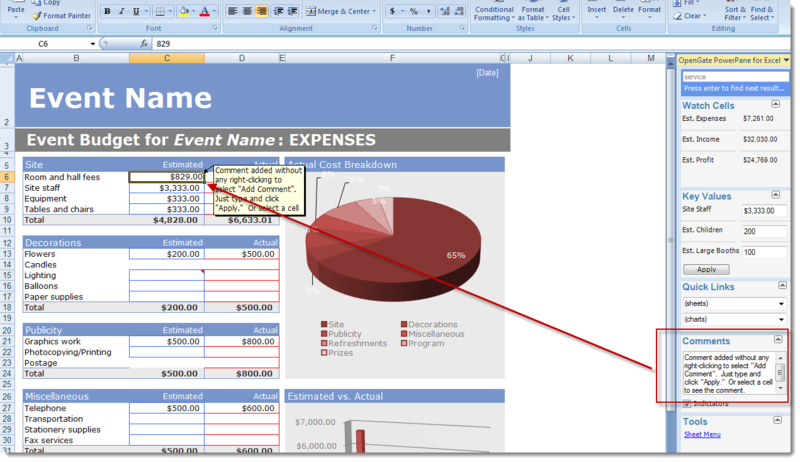 Use PowerPane to watch the values of cells important to you...no matter what worksheet you are currently in. 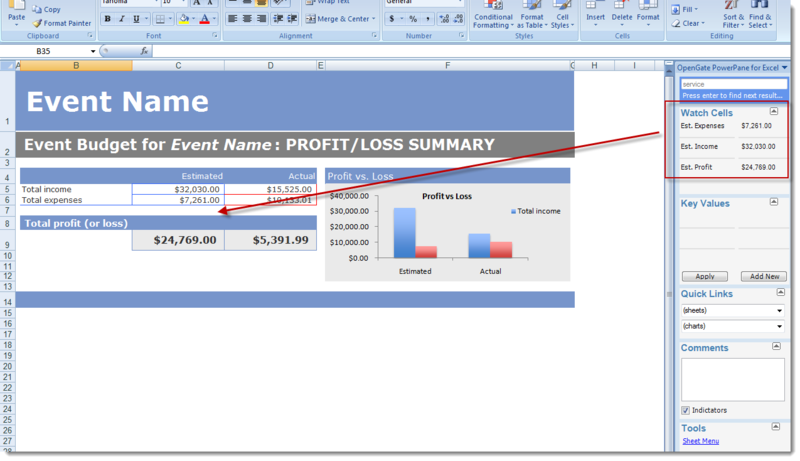 Change the values of key cells without changing your current location. 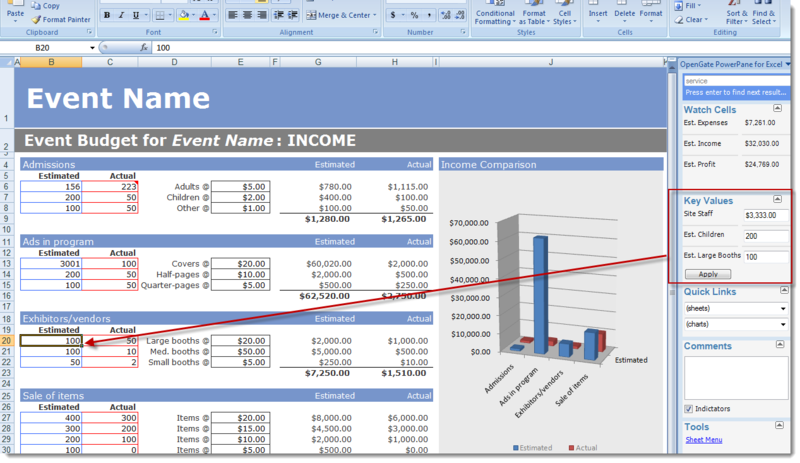 Navigate to sheets and charts with only a single click. And search using the quick search box available at any time. 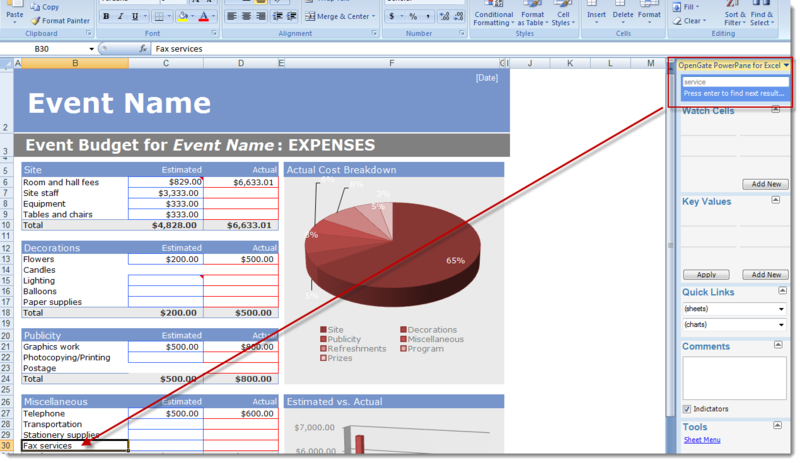 Use PowerPane to create more professional Excel workbooks. 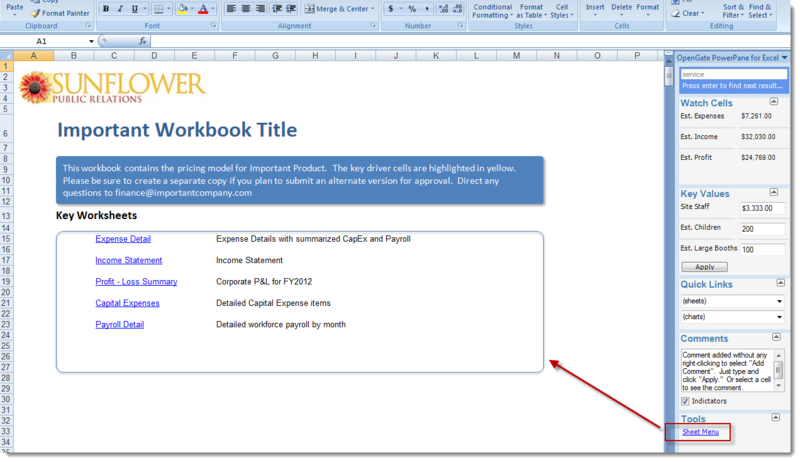 In just a few clicks, PowerPane can help you automatically generate a professional, polished Welcome worksheet where users can easily navigate to key sheets in your workbook. We will never share your information with other parties (our privacy commitment). 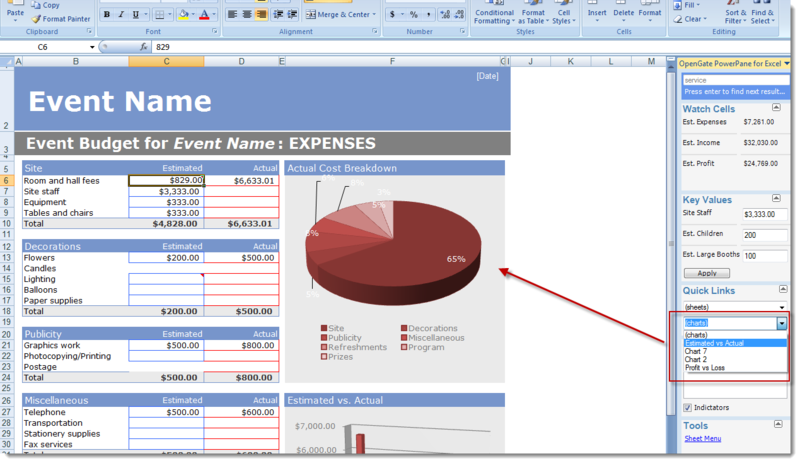 Microsoft Excel 2007, Microsoft Excel 2010, or Microsoft Excel 2013. Copyright © 2018 OpenGate Software Inc. All Rights Reserved.